The use of Supplementary Cementitious Materials (SCMs), such as slags and fly ash, in cement blends is a well-established methodology for reducing clinker factor while imparting beneficial properties to the eventual concrete product. 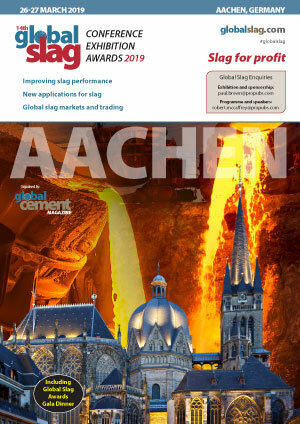 Here Global Cement speaks to Charlie Zeynel of ZAG International Pty. Ltd., a company that sources, markets and sells a full range of minerals and raw materials as well as intermediate and finished products to a wide range of industries. What are the current trends and what can we expect from the SCM markets in the future? Stainless steel slags generated in melting and refining operations are CaO-SiO2-MgO rich with Cr2O3, Al2O3 and F- in minor quantities. A major issue is collapse of the slag structure on cooling as the high dicalcium silicate (C2S) content undergoes a phase transformation from β-C2S (monoclinic) to γ-C2S (orthorhombic). This phenomenon is accompanied by a volume increase of around 12%. Consequently, slag handling and storage are problematic. Furthermore, structural collapse prevents the realisation of commercial value of the slag. β to γ conversion of only 4% slag by weight is sufficient to cause the dusting phenomenon. CSM slags are often treated with borates to prevent β to γ transformation of C2S. However, borates are expensive and health concerns may limit their use in the future. Valoxy®, an alumina-rich material derived from the recycling of aluminium salt slags, offers an alternative route to CSM slag stabilisation in which the formation of C2S is prevented altogether. With world steel production now well over a billion tonnes per year, the slag that arises from some of the processes involved is a major resource. Traditionally it has been used mainly as an aggregate but for some types there are other applications, such as a raw material for cement or as a fertiliser. Slag, as the term will be used here, is any siliceous melt that arises in significant quantity from the various processes used in the production of iron and steel, and more particularly the solid materials that forms when such melts cool. Slag from the production of ferrochrome is also included here; this material is produced in substantial tonnages and the main use of ferrochrome is in the steel industry. Slags also arise from other processes, particularly the smelting of non-ferrous metals, but these materials can be very different and each needs to be studied individually. Moreover, in colloquial English an even wider range of materials such as clinker, ash and even colliery waste is sometimes referred to as “slag”. Such materials are not covered here. 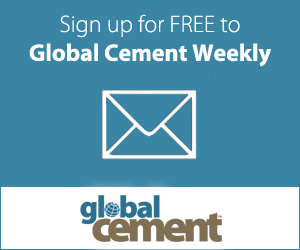 Researchers at Adana Çimento in Turkey have undertaken a thorough investigation into the relative strengths of concretes made with normal Portland cement (CEM I) compares to those derived from GGBFS-based cements (CEM III). The results of this investigation are presented in this paper, with the central conclusion being that concretes made with cements containing up to 65% by weight of GGBFS, have improved strength, lower unit costs and a more benign environmental footprint compared with concretes made from CEM I cements.